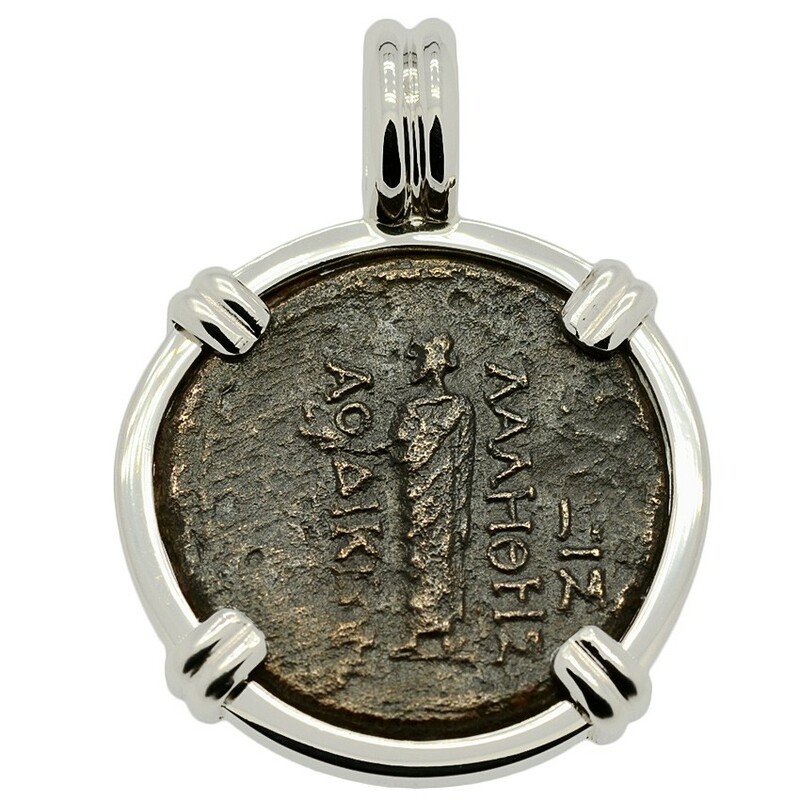 This coin was minted during the rule of Caesar Augustus in the Eastern Roman city of Laodicea, located along the river Lycus in modern day Western Turkey. Laodicea, was on a major trade route and at this time, was one of the most prosperous cities of Asia Minor. 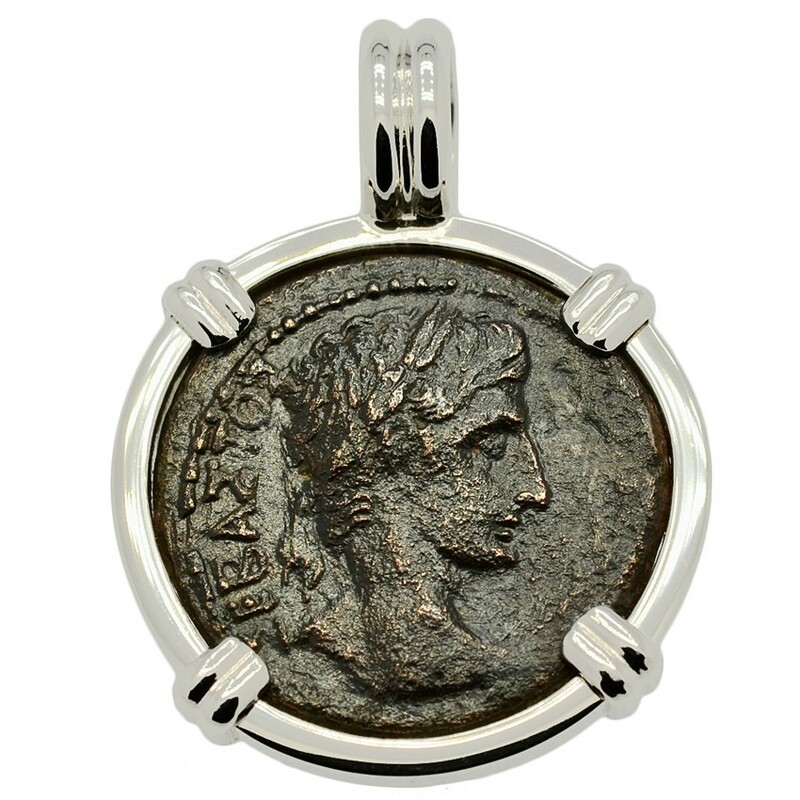 The obverse side of this coin shows the head of Augustus and the reverse depicts the god Zeus standing while holding an eagle and a staff. Caesar Augustus was the first Emperor of the Roman Empire from 27 BC until his death in 14 AD. Augustus is remembered as Rome's greatest Emperor. 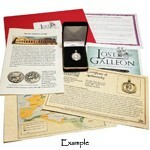 His great power stemmed from the loyalty of the military, the respect of the people and large financial resources. This eliminated any opposition from the Senate and the Roman Republic soon became the Roman Empire. Augustus enlarged the Empire dramatically, reformed the tax system, built roads with a courier system, established a standing army and created police and fire-fighting services for Rome. The reign of Augustus also began an era of relative peace known as the Roman Peace which would last more than 200 years. Upon his death in AD 14, Augustus was declared a god by the Senate, to be worshipped by the Romans. 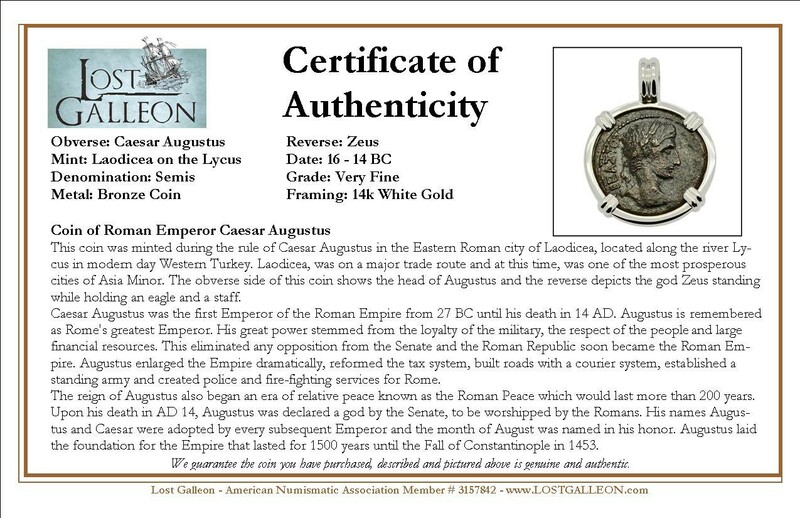 His names Augustus and Caesar were adopted by every subsequent Emperor and the month of August was named in his honor. Augustus laid the foundation for the Empire that lasted for 1500 years until the Fall of Constantinople in 1453.